It’s always great to get feedback from our riding guests, and we gladly refer to the many reviews we have received on tripadvisor. Feedback comes in various forms, as tips, experiences and inspirations by riding guests in Mongolia. To hear from our guests about their impressions of traveling with us helps us in several ways. We understand the many facets that combine to give our guests a great experience and memorable adventure. There are always details to learn and improve on to make guest experiences even better. And we understand from our guests’ writings what are the one or several aspects that make our tours different, and what it is that touches something deeper in people than good food, quality equipment, great horses and excellent service. It is a recurring theme that it is the connection to nature, and the disconnection from offices, computers, cell phones, and the internet that gives guests the sense of relaxation, the ability to be present in the moment, and connect with real life. Somewhere I read the term “Social Media Detox”, and that is really a very fitting description of what is enabled when one goes on a wilderness adventure. Most guest reviews are shorter, summarizing the overall experience, pointing out highlights, and sharing some anecdotes, often about the horses’ behavior and the rider’s bond with their trail horse that they experienced as an amazing companion out in the back country. But some guests go way beyond that, sharing their experiences in their blogs, providing great practical advice for aspiring horse trekkers in Mongolia, along with details of their riding adventure. Others are emphasizing more the impressions the adventure made on them, their connections they felt to the landscape, the horses and people, and how a seed was planted in them that makes them return to Mongolia, again and again. I am sharing here some of the content, and links to their own blogs, by two of our more prolific writers/riders. Both are from Singapore. Michelle Ho rode with us in 2015, in July at the height of wildflower season. She came together with her boyfriend Ian. As is mostly the case when couples come horse trekking with us, the woman is the rider and horse lover, and the guys are being nice to come along. It was such a case, and we definitely have lasting memories of the boyfriend too. He was a professional magician, and performed some amazing tricks. We were just happy he didn’t make any horses disappear! 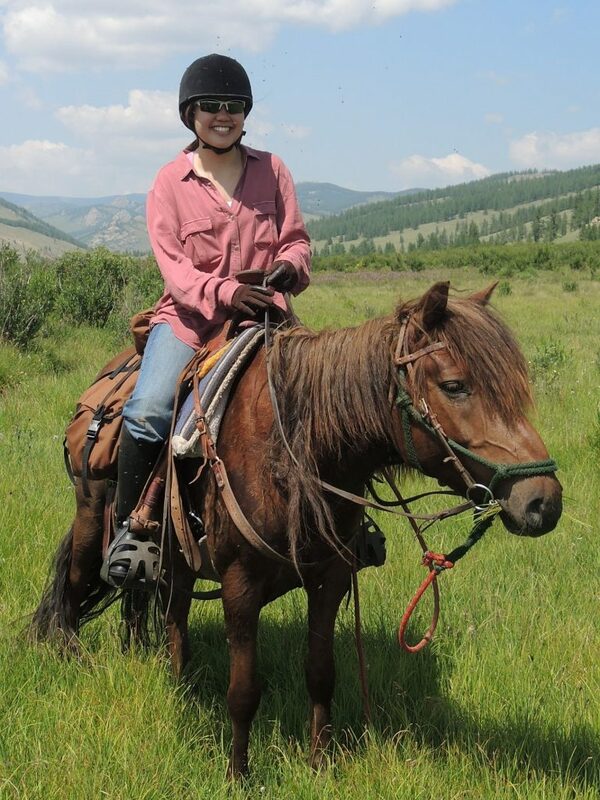 Thanks to Michelle for sharing her riding adventure experiences! Michelle’s blog is titled “Mich Wanderlust”. Check it out to follow Michelle’s adventures, and we hope that we will see her back here again as a rider, and writer! 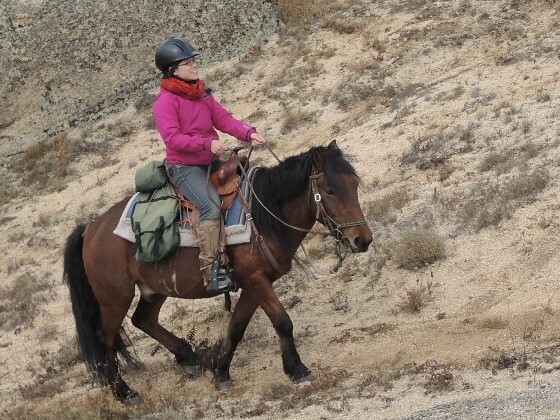 Yue Lin, also from Singapore, has traveled with us five times, and her lyrics speak of the magical attraction Mongolia has on her, and what it means to her to spend time with “her” horse Jerry of the Stone Horse herd, to star gaze during chilly nights in camp, to be in the endless grasslands. 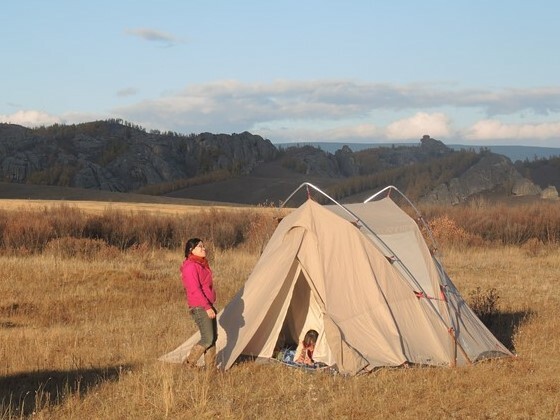 In Yue Lin’s Blog you will find entries of travel experiences, in Mongolia and elsewhere, and about both personal and other themes. 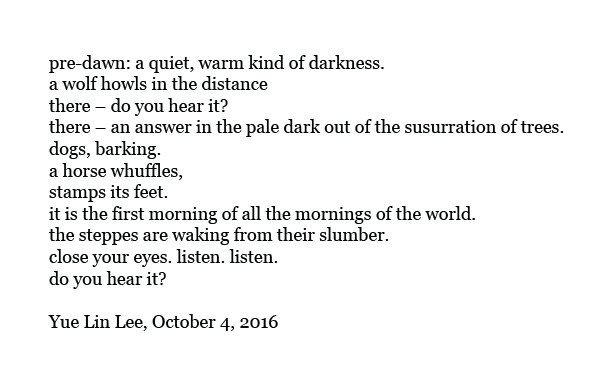 And then there is Yue Lin’s poetry, profound and beautiful. Check out her blog of truly thoughtful writing. 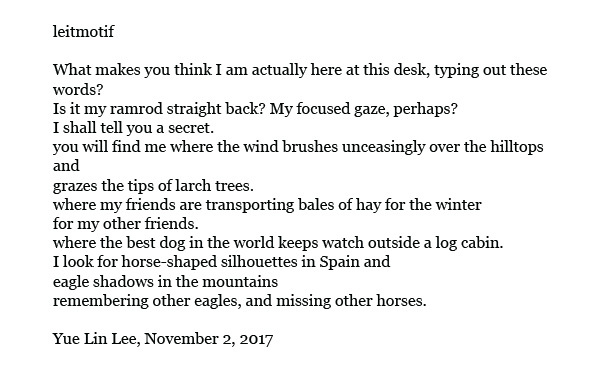 I have selected some excerpts, of Yue Lin’s commentary and descriptions from her horseback travel with us, and some of her poetry that is close to our hearts. Thanks to Yue Lin, and friends, for traveling with us again, and again! It means a lot to us if the time spent with us in these landscapes of Mongolia, in the wilderness, with our team of horses, dogs and humans, inspires such writing! See you next time. 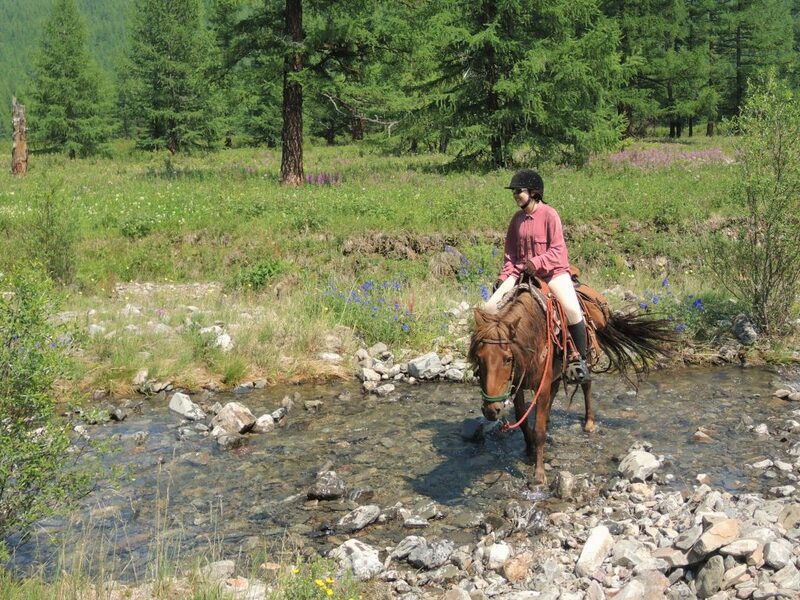 Are you inspired to experience a horseback journey in Mongolia yourself?